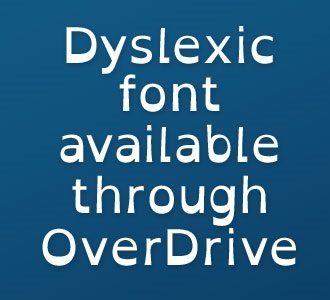 Dyslexic-friendly fonts can make reading easier – and now they’re available for ebooks downloaded through the Library’s online library using Overdrive! 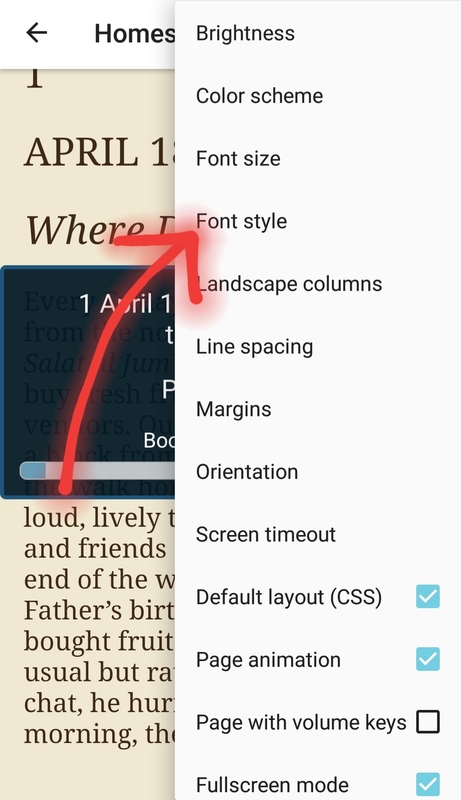 To switch fonts in the Overdrive app, touch the Settings button. 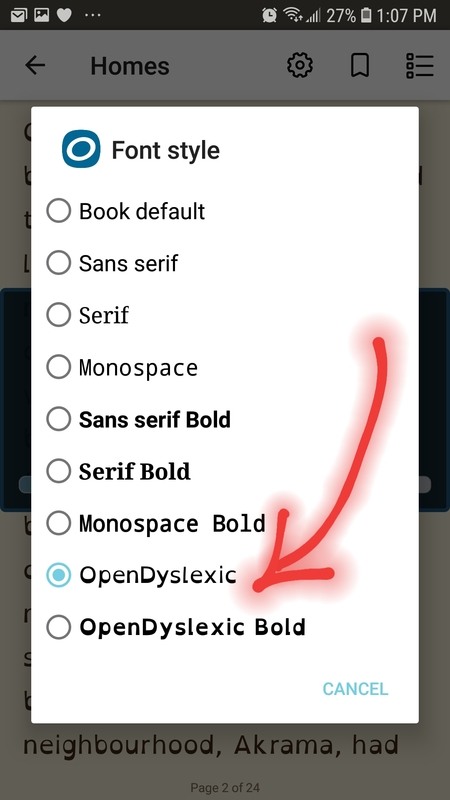 Then select the font you want and go back to reading your ebook! 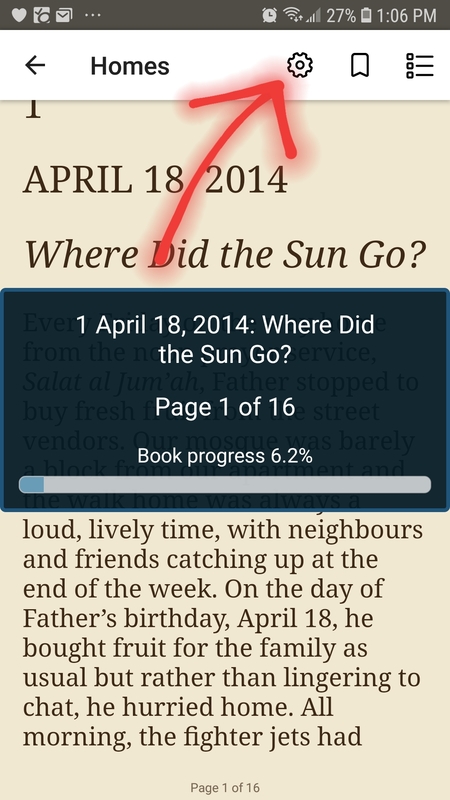 If you’re new to the online library and want help setting up the app on your device, or are having problems using it, stop by and see us – we’ll do our best to help!